﻿ Interested in Setting up a Mini Soybean Oil Production Assembly Unit? Have you ever thought of start a mini soybean oil production assembly unit to process soybean oil on a small scale? if the answer is yes, you can have a look at the following description of our new mini type oil oil production line which is very suitable for processing oil below 10T/P. This mini soybean oil production assembly unit is easier to operate, easier to install and commission. This unit only requires a very small investment and land space however it still maintains complete functionality in production. This small unit needs fewer labor than the single machines. With our considerable design, it only needs 2~3 persons to run the whole unit, the mini soybean oil production assembly unit also can avoid the unstable material feeding caused by manual. The lower invest but with higher output, under the higher labor cost situation,it makes the worker safety more under the higher temperature working situation. 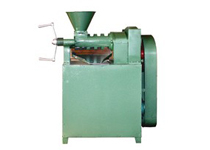 Moreover, mini soybean oil production assembly unit can process many other oil seeds, such as peanut kernels, rapeseed, cotton seeds, sunflower seeds, corn seeds, palm kernels, and sesame seeds. The automatic oil press machine is the most important equipment in the mini soybean oil production assembly unit, its components include the oil press machine, motor, vacuum filter, heater and electric control cabinet. The function of the oil filter is used to get rid of impurities in the oil. Then the clean oil can be used for biodiesel, vegetable oil or edible oil. 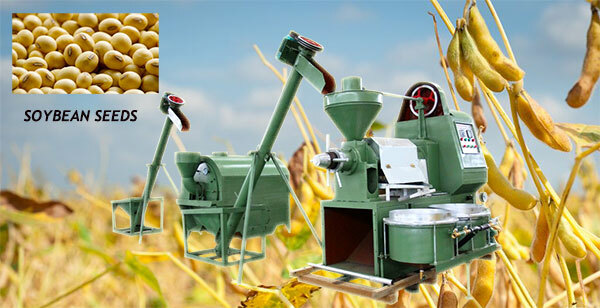 There is another combination set of small unit for soybean oil production that you can choose. The complete capacity is the same as the previous one which just chage the automatic oil press into two separate single machine, the YZS series screw oil press and another filter press. 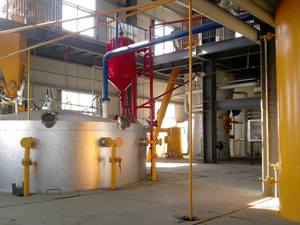 Both assembly sets are both good at processing soybean seeds into oil. you can choose the one you prefer! Feel free to contact us anytime you are intend to set up such a mini soybean oil production assembly unit, it really worth investing! We are always at your service!